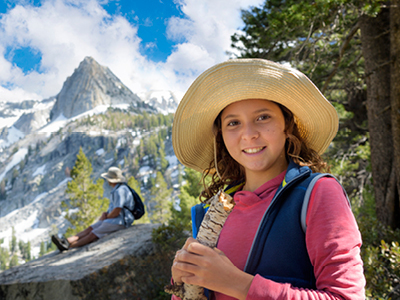 Over thirty trail heads provide access to the 1,303,477 acres of wilderness backcountry for hikers seeking to escape into primitive and pristine areas. There are 107 campgrounds and picnic areas throughout the forest. 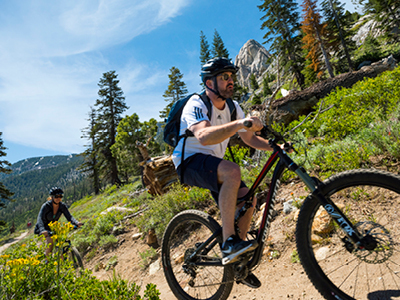 Mammoth Mountain Ski Area becomes a summer mecca for mountain bike enthusiasts at the Mammoth Mountain Bike Park as they ride the challenging Kamikaze trail from the top of the 11,053-foot-high mountain or one of the other many trails that transect the front country of the forest. 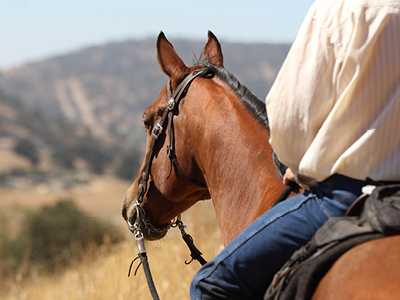 Try seeing the area the way people did a hundred years ago: on horseback. Local pack outfitters offer several options for guided trail rides from one-hour to multiple-day trips. 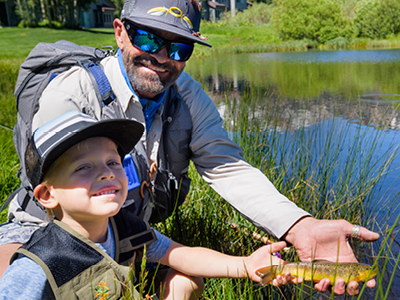 Beginner to expert anglers can fish for trout at more than 400 lakes and 1,100 miles of streams in the Inyo National Forest area. Trolling and bait fishing are also popular as well as fishing for large mouth bass and catfish in strategic areas. For the ultimate catch and release fly fishing experience, we highly recommend Kevin Peterson at (760) 937-0519.